This book expands the discussion of FMECA beyond the realm of the MIL-STD-1629A hardware approach. Commonly-used commercial standards (SAE J1739 and IEC 60812) are introduced. Hardware and Software FMECA (DFMEA), Process FMECA (PFMEA) and Human Systems Integration (HSI)-based PFMECA methods are discussed, with particular attention given to the process, required information, expected results and analysis alternatives. The concept of an Integrated FMECA (I-FMECA) is also introduced. Failure Mode, Effects and Criticality Analysis (FMECA) is a reliability evaluation/design technique that examines the potential failure modes within a system and its equipment, in order to determine the effects on equipment and system performance. Historically, FMECA practice has revolved around MIL-STD-1629A and has been primarily limited to hardware. This book expands the discussion of FMECA beyond the realm of the MIL-STD-1629A hardware approach. Commonly-used commercial standards (SAE J1739 and IEC 60812) are introduced. Hardware and Software FMECA (DFMEA), Process FMECA (PFMEA) and Human Systems Integration (HSI)-based PFMECA methods are discussed, with particular attention given to the process, required information, expected results and analysis alternatives. 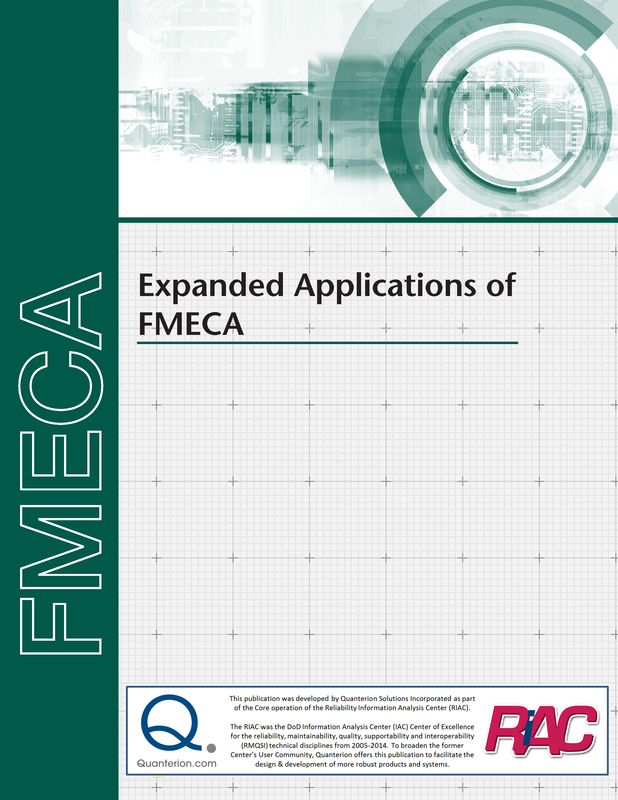 The concept of an Integrated FMECA (I-FMECA) is also introduced.